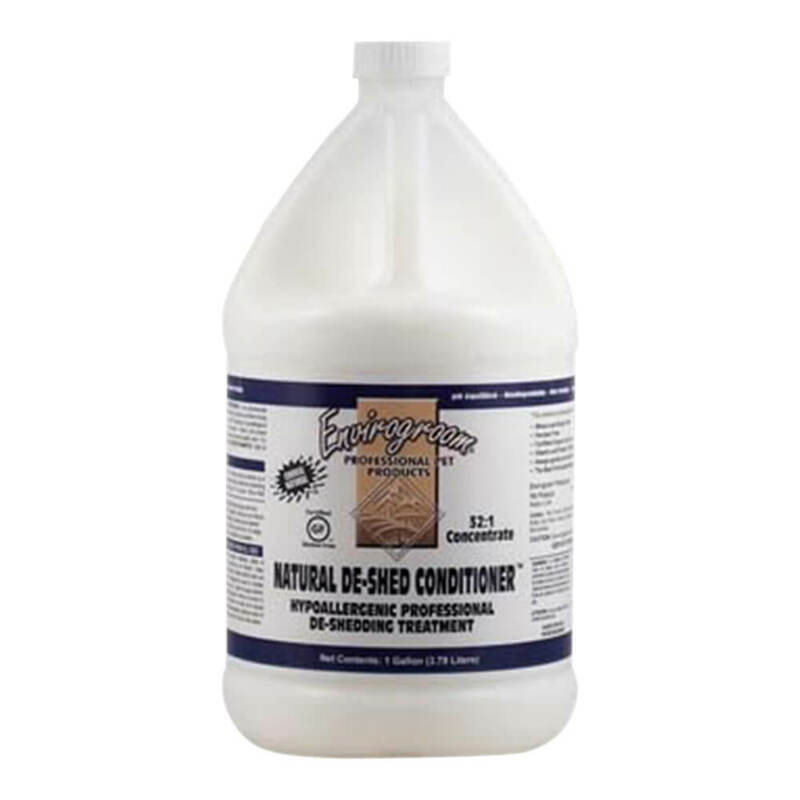 Product label design may vary from image shown. Many of today's common pet ailments are triggered by nutritional deficiencies. While good health and behavior does start with what you feed your pet, it's the level of food nutrients its body absorbs that matters most. Top Veterinarians and Breeders agree, adding ProZyme® to your pet's food helps it get the maximum nutrition possible. 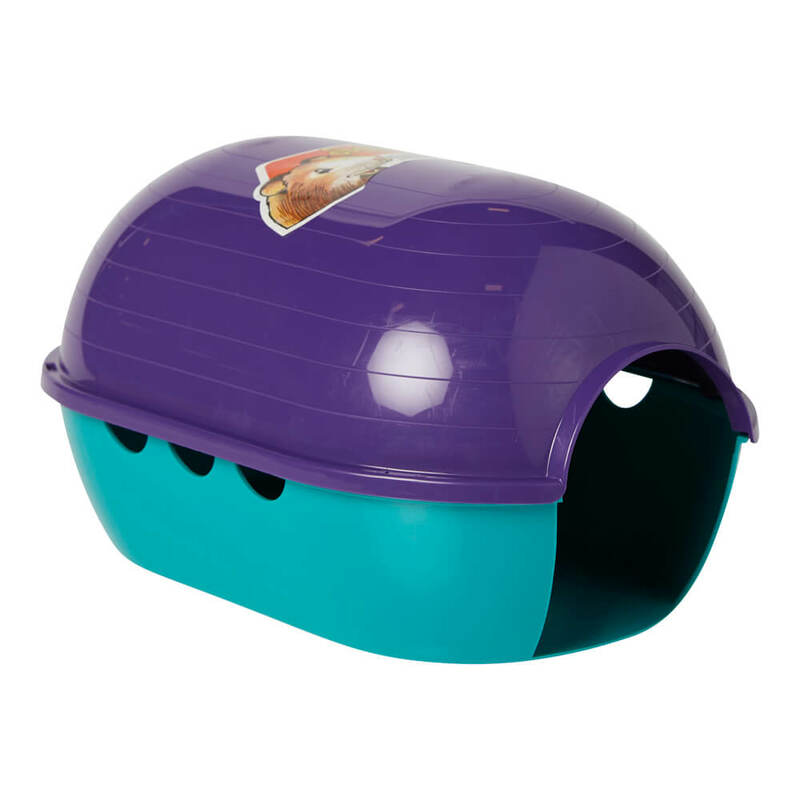 Most pet foods are processed for shelf life. As a result, many of the food nutrients become chemically-trapped and pass right through the digestive system. ProZyme® formula's unique blend of plant-derived enzymes help unlock food nutrients and enhance metabolic absorption. ProZyme® is uniquely bio-engineered to survive the stomach's acids and works to release nutrients where metabolic absorption takes place, in the small intestine. 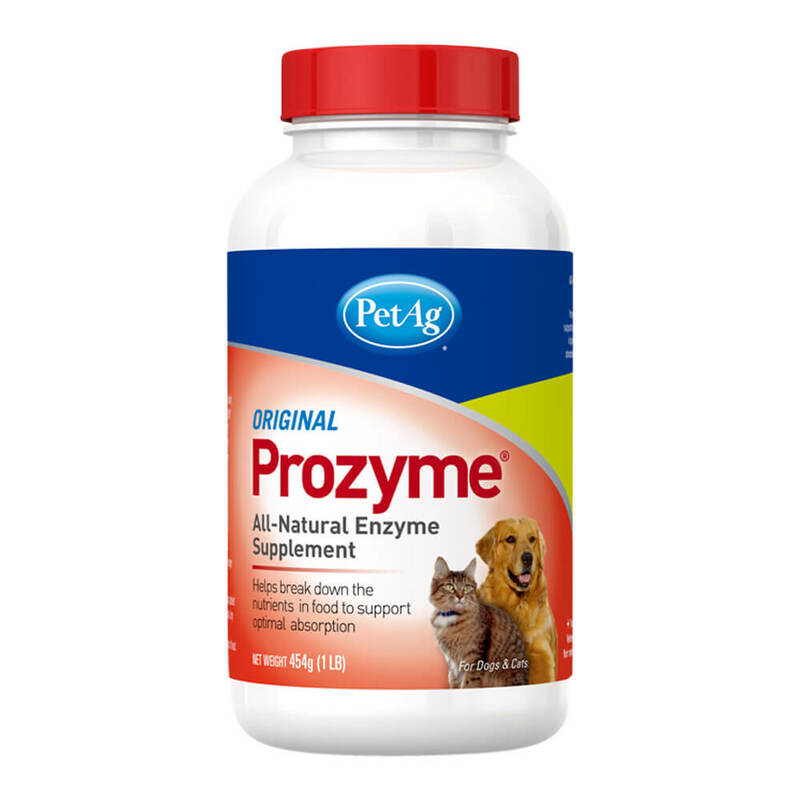 ProZyme® contains no added vitamins or minerals that could upset the balance of pet food nutrition or create a risk of excessive vitamin supplementation. In addition, ProZyme® does not get absorbed into the blood stream making it safe to use with prescribed medications. 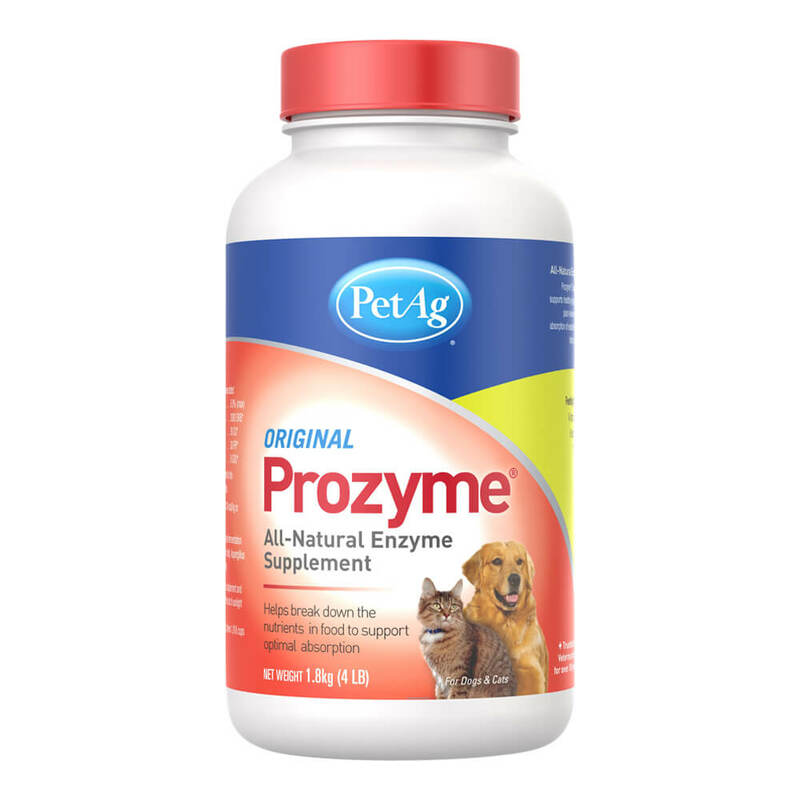 Experts have attested to the effectiveness of ProZyme® in many best selling animal wellness books. 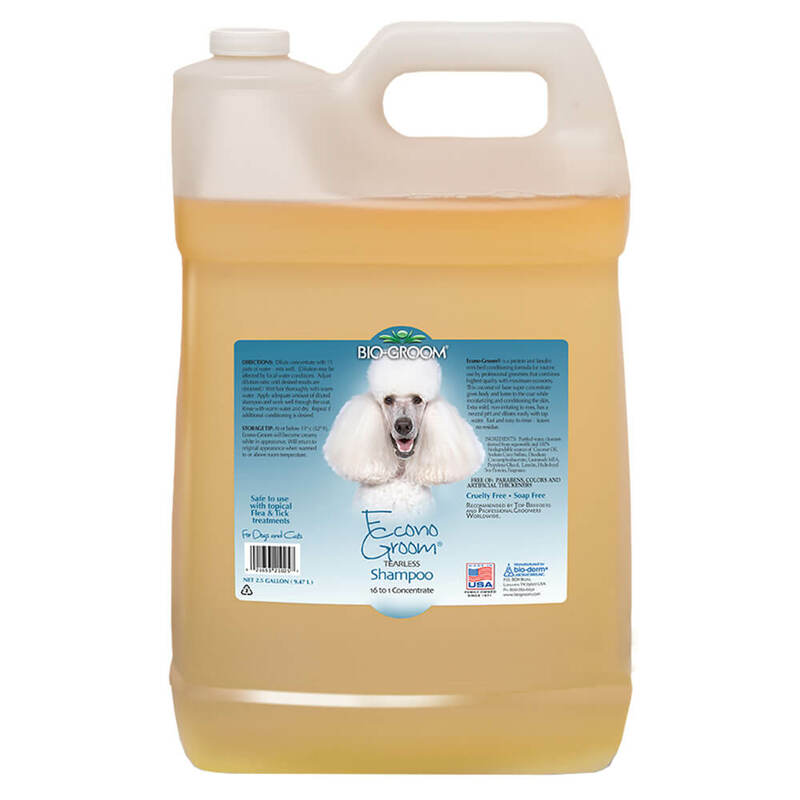 Veterinarians have used the product successfully for over 30 years. Put ProZyme® into your animal's dietary plan and discover a noticeable difference in as little as 2 weeks! Please consult your veterinarian before you change anything in your pet's diet. 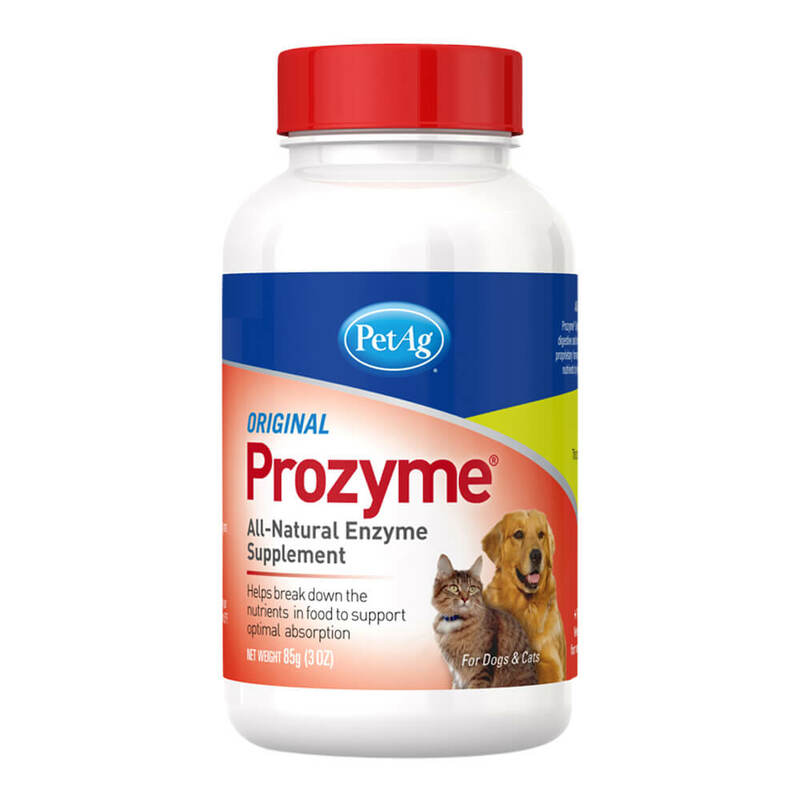 Under the age of 8 feed 1/4 teaspoon of Prozyme® per 1 cup of food. Over 8 years of age feed 1/2 teaspoon of Prozyme® per 1 cup of food. 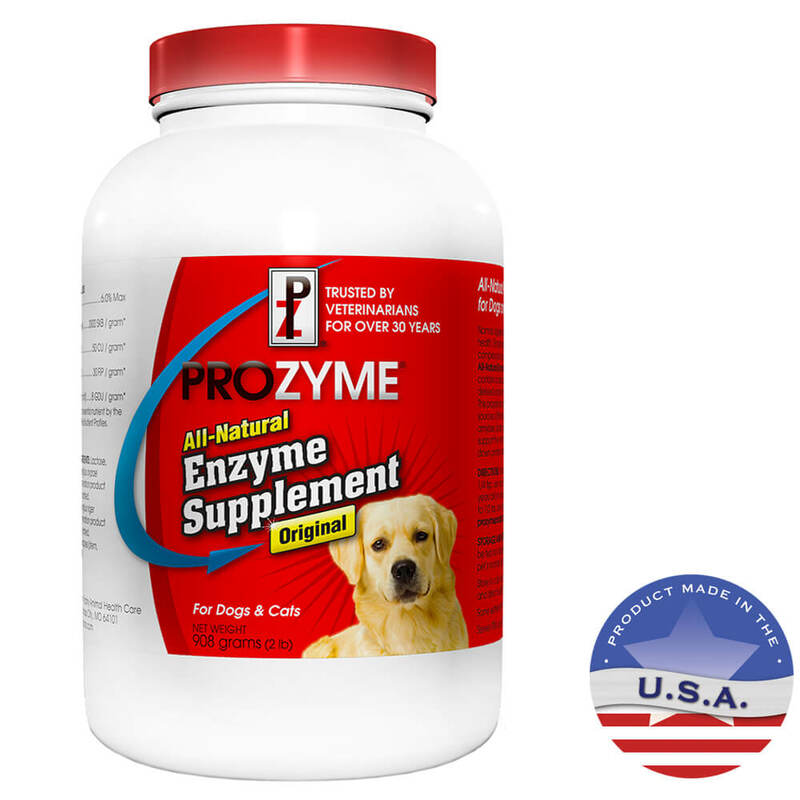 Prozyme® is a palatable enzyme powder that is sprinkled on, or mixed in, your pet's food. Use with every feeding. 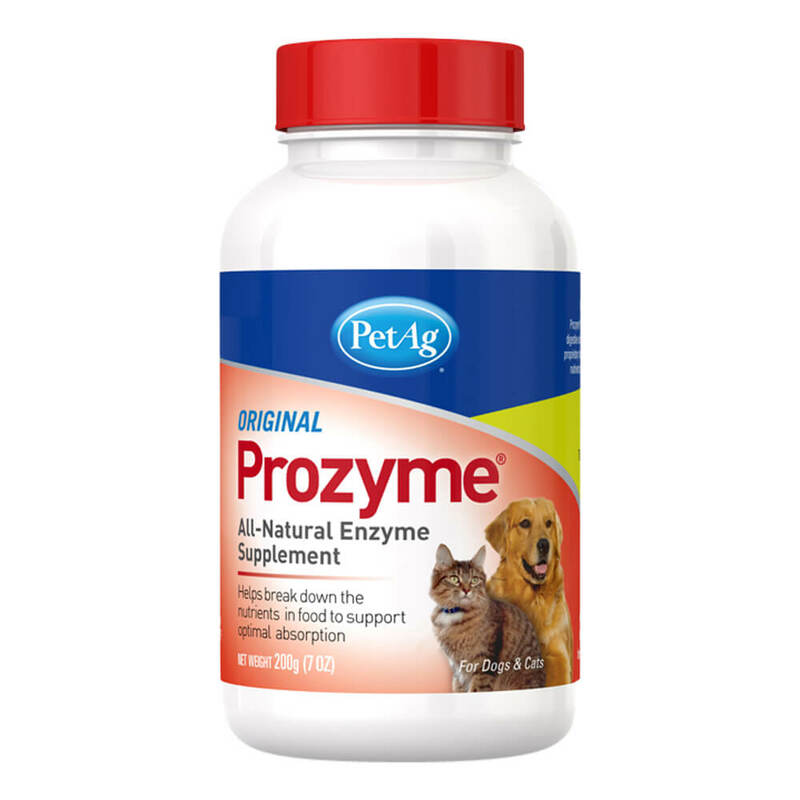 Prozyme® is as beneficial to the young pet requiring extra nutrition as it is to an older pet whose system no longer adequately absorbs nutrients. Milk sugar manufactured from fresh whey, Aspergillus oryzae (Alpha-Amylase) fermentation product dehydrated, Aspergillus niger (Lipase and Cellulase) fermentation product dehydrated, and Bromelain derived from Ananas Comosus (Protease) dehydrated.